In today’s digital world, many physical therapy practice owners are focused on their online presence. A high-quality, professional website is definitely a must have for a modern practice. Combine that with engaging social media profiles, blogs and email newsletters and you are set—right? For the most part, yes. But, what about that population of potential patients that don’t know about your services and clinic. You need a way to educate them about PT and inform them about your practice. 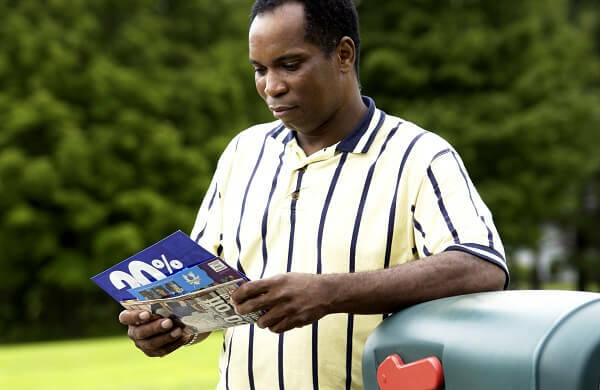 Marketing newsletters are an easy way to reach people in your local community. This is a great way to expand your brand into new populations and build a broader patient base. First, you create a newsletter that focuses on a common condition like back or neck pain. Then, you customize the design to feature your brand’s style and elements. Next, you provide news and updates to add personality and immediacy to your marketing. Lastly, you compile a list of recipients and mailing addresses to send your marketing newsletter to—easy right? Let’s take a look at each step and explore different ways to build your newsletter. The core of the marketing newsletter is the template and topic content. You do not want to have to design from scratch each month. Instead, look for a template with areas for articles, exercises, images, and news. This makes it easy to generate the next edition and provides a consistent experience for your readers. You also want to have a robust topic list and articles ready to go. Each reader is unique with different interests and perspectives. So, how effective a topic is at encouraging readers to see you for PT will vary. You want to mix the topics up so that while one month’s newsletter on shoulder pain may not feel relevant, but the next month’s on knee pain could hit a nerve (literally!). We recommend investing your time up front in the template and topics and build out at least six months’ worth of content to streamline your marketing newsletter process. Download 3 Free Newsletter Templates for Private Practices! A customized design and brand personality are what really make your newsletter successful. Each month, you want readers to open their mailbox and instantly recognize your newsletter. You should incorporate your logo, practice name, and colors into the template design. Also, take your patient demographics into consideration—do you have an older population, serve a key market like manufacturers or farmers, or treat sports teams and athletes? If so, be sure your imagery and content will resonate with those groups. You already have a brand reputation for excellent physical therapy so now you just need to attract more patients to your clinic. Your brand personality also comes through in the news and updates section of your newsletter. This space allows you to promote specials and events, share news and achievements, and have fun with your marketing. You can completely customize this section each month or have some standing content blocks, like a staff spotlight or events calendar. It’s also an opportunity to share patient testimonials and results (with their permission of course). Try to get good quality photos of your team and clinic to show readers your practice. This section should be your monthly marketing bulletin and keep readers informed about the latest news from your clinic. The last component needed to send your marketing newsletters is a list of recipients and their mailing addresses. Here are some quick tips for mailing lists. While most practices are focusing heavily on their digital marketing, newsletters are still one of the top ways to attract new patients and reactivate past ones. Ever physical therapy practice should employ different types and communication formats to appeal to a broad section of the population. Marketing newsletters blend educational content, informative resources, and clinic updates to promote PT to your services to readers. For more Newsletter tips and expert marketing advice, visit our blogs or explore our physical therapy practice newsletter products.